Part of a larger, long-term project by Bulaj about conflicts in Central Asia. In addition to covering specific issues such as reconstruction and women’s schools, Bulaj will also explore “hidden” worlds, including the culture of Sufism; nomadic tribes and religious minorities. 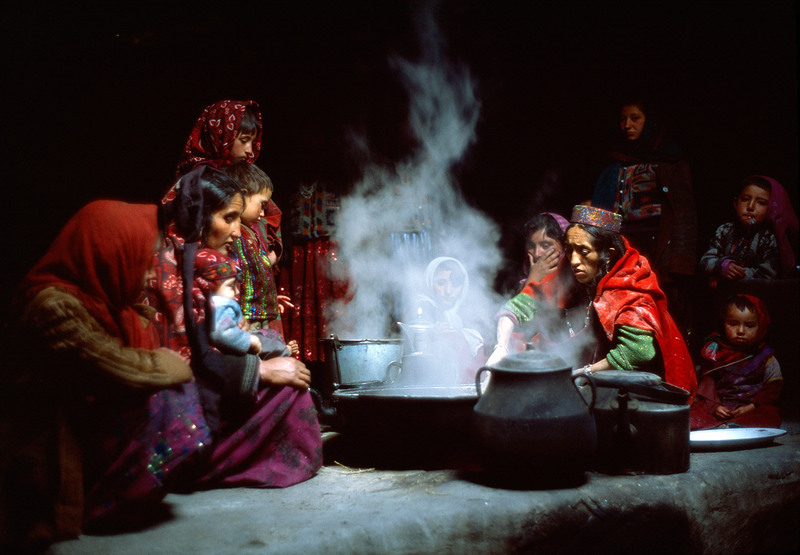 In this remote region, caught between the Pamir mountains and the closed borders of Tajikistan, China and Pakistan, live the hopeless Kirghiz people, a nomadic people who decided to live in their summer quarters in these highlands after the Soviets took over Central Asia. 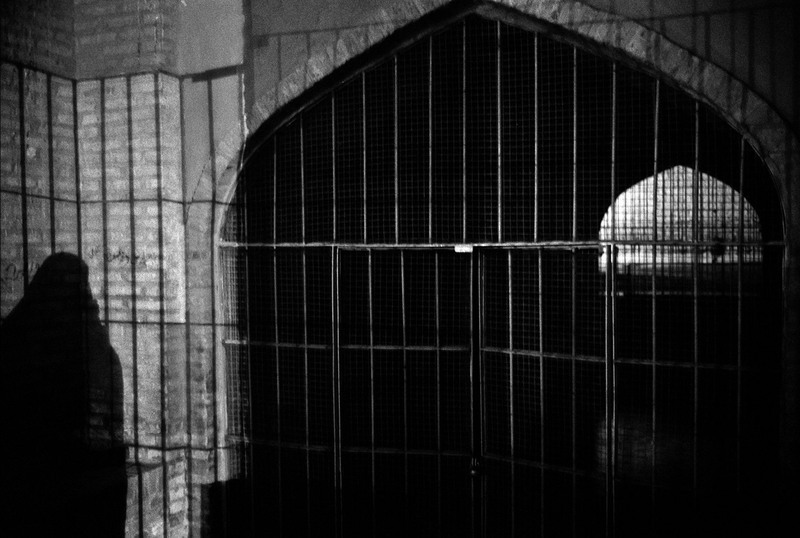 A well close to the shrine of the mystic poet Ansari. Herat. A bare and mineral-rich country, where a single tree stands in unrivaled majesty. The smallness of man in such a landscape seems to create the solidarity, the sense of humor, the nobility of behavior and hospitality, so typical among Afghans. Badakshan. 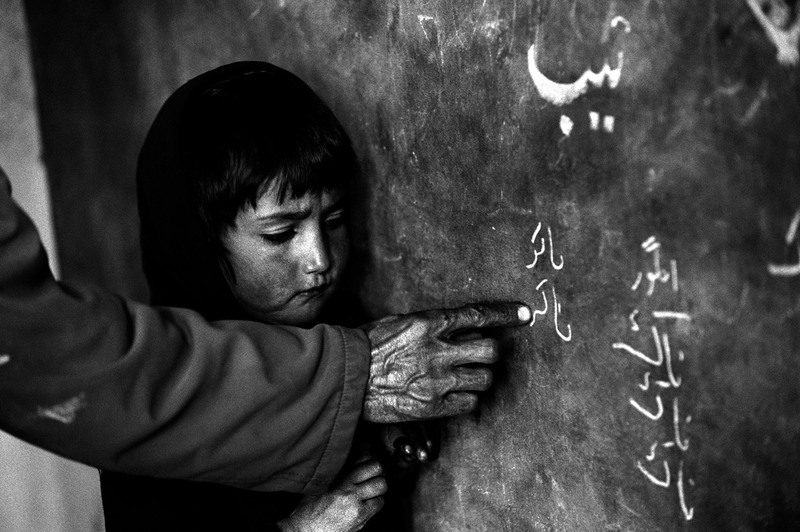 A girl stands at the blackboard in a classroom in the Central Asia Institute School, founded by Greg Mortensen, author of Three Cups of Tea. Iskashim, Wakhan. 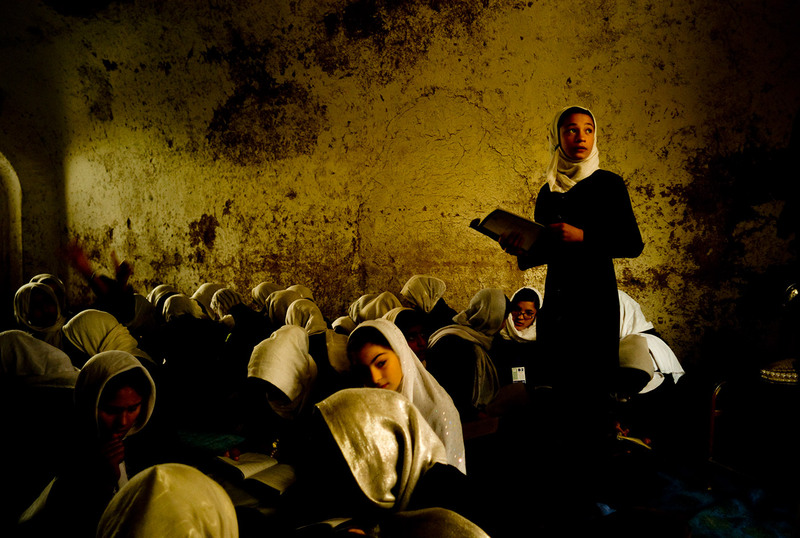 At the largest Afghan school in Heart, some 13,000 girls are so passionate about learning that they study in hiding underground, and in tents where scorpions lurk. Opium addicts sleeping on the roofs in Kabul. 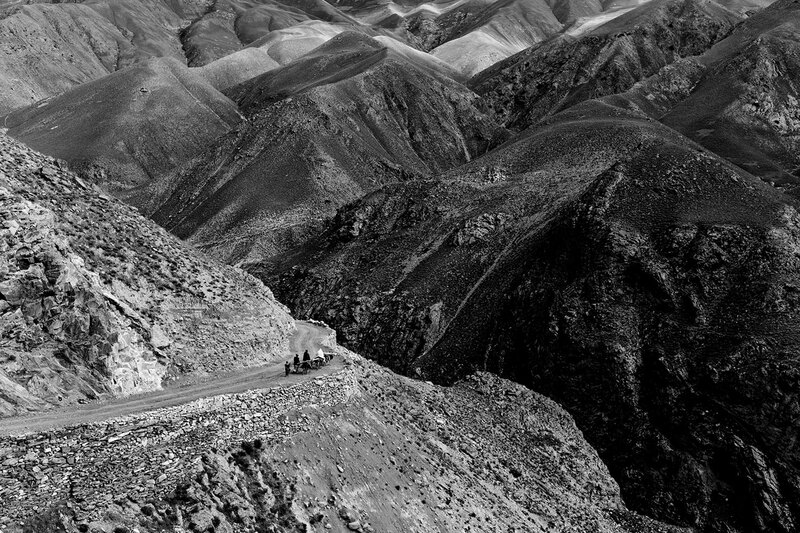 For the nomads in Afghanistan, life has become a cul-de-sac—the way of no return. 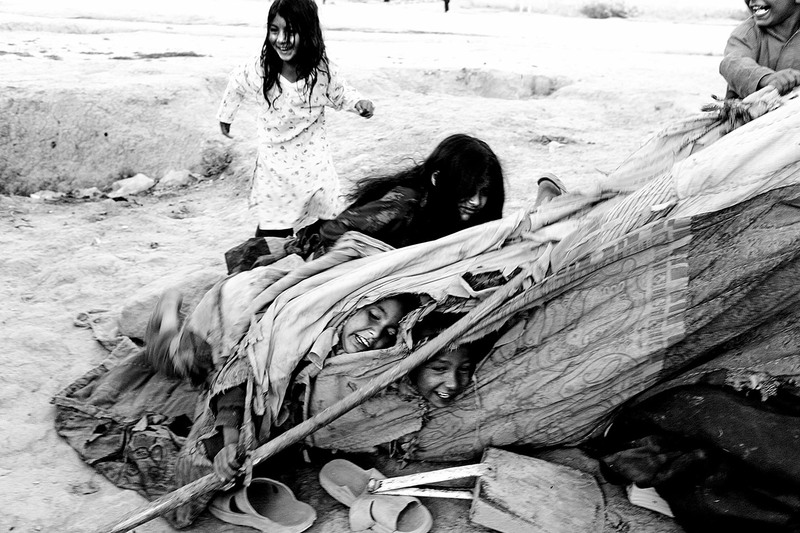 During sustained conflicts, nomads are among those who suffer the most, just as the Roma did during the Balkan wars. In Afghanistan, Kuchi nomads camp on the outskirts of cities, in holes dug in the earth—deprived of all rights and the chance of returning to their traditional lifestyle as shepherds. They are among the last of the refugees. A patient in a hospital in Herat. 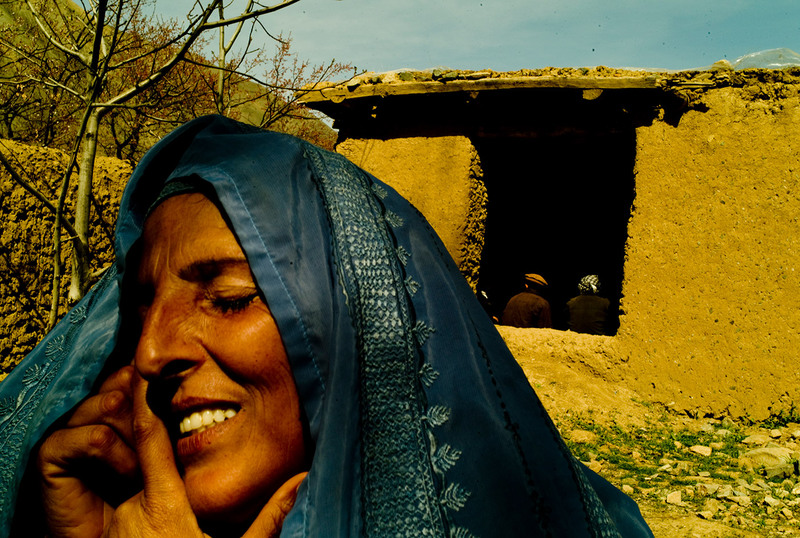 Waiting for amulets in front of the mullah’s home in the Khost Wa firing valley, near Baglan. Neither the Russians during the period they occupied Afghanistan, nor the Taliban, nor the American troops in Afghanistan now, dare to enter this area. 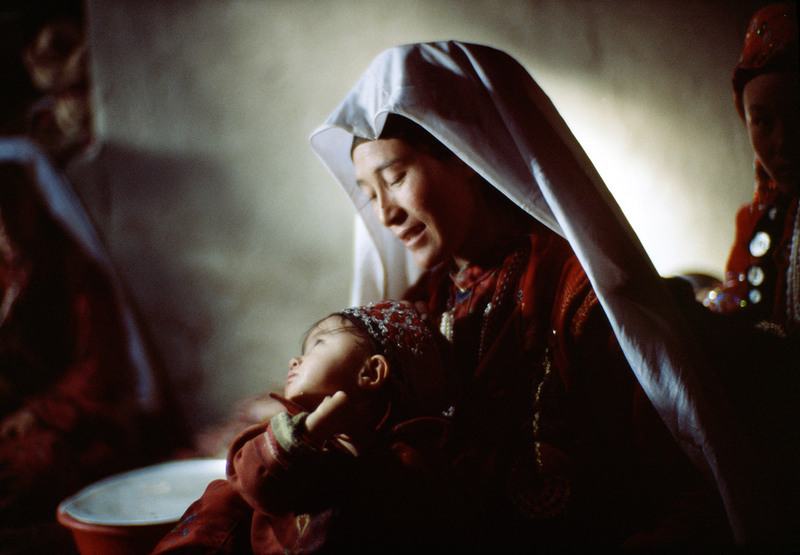 Sirika, who was born in Kandahar, was the only midwife for the many villages in the area. 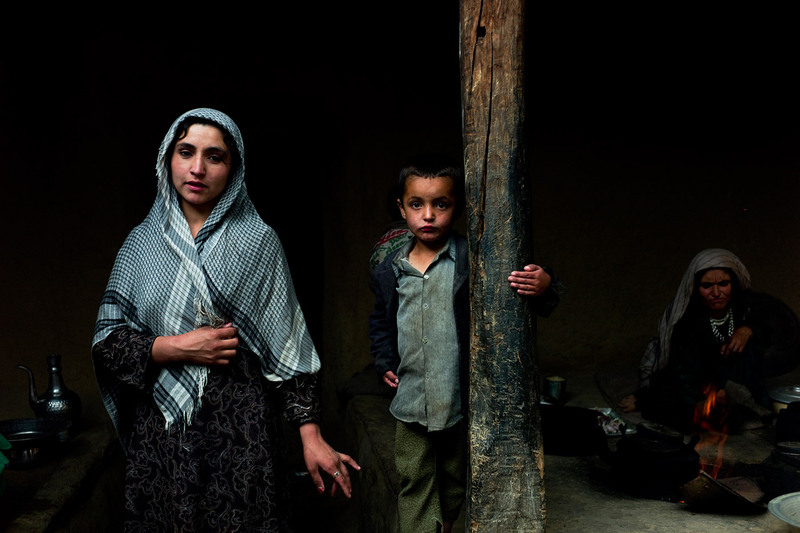 She is moving with her family to Kabul, so that her children can get an education. 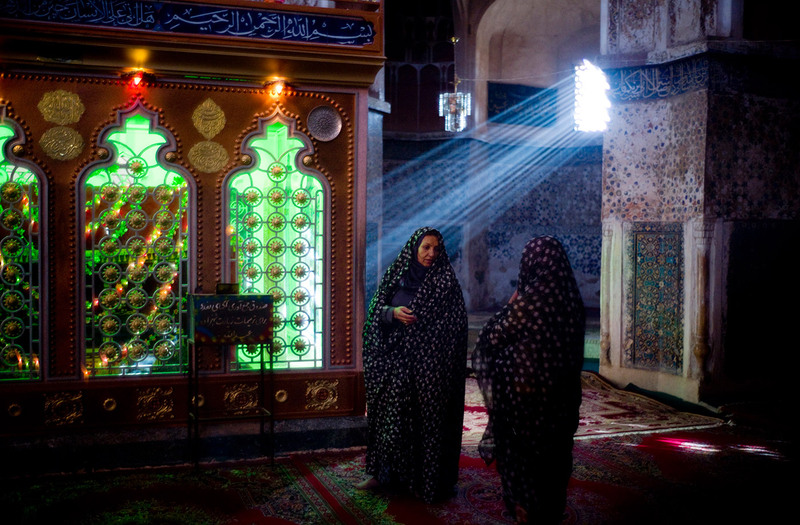 The shrine of a Muslim saint in Kabul. 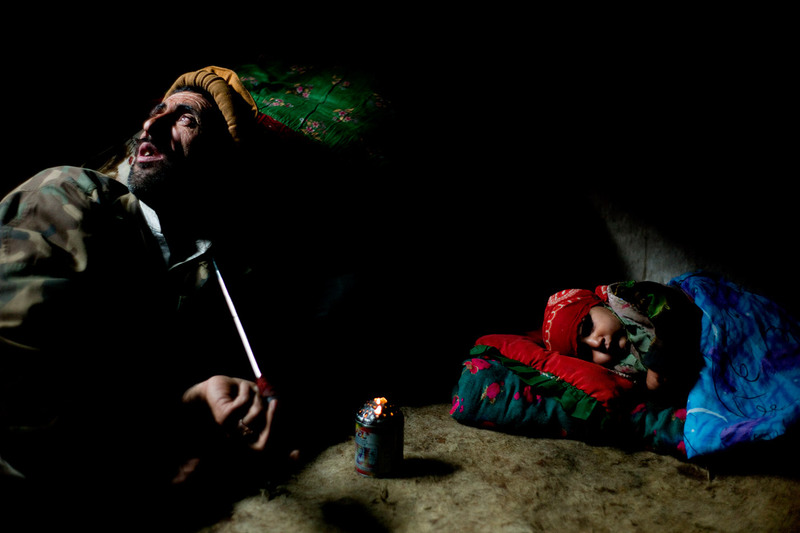 In the poverty-stricken region of Badakshan, villages are full of opium addicts. Opium is used to kill pain because there is no medicine available; it is also given to babies. A winter’s night in Kabul. 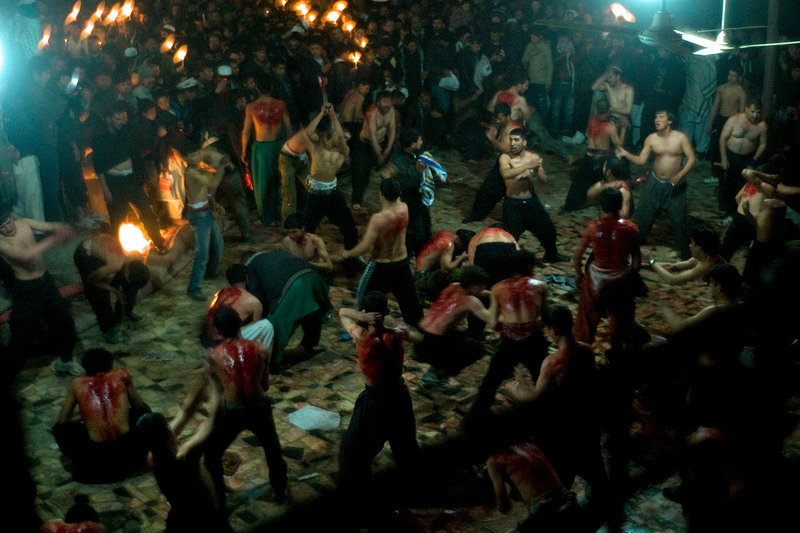 Shia Muslims practice clandestine religious rites of self-flagellation, their bodies covered in blood and tears. Sixteen-year-old Shirin became the head of her family, after her brother fell through the roof of the house and became a paraplegic. 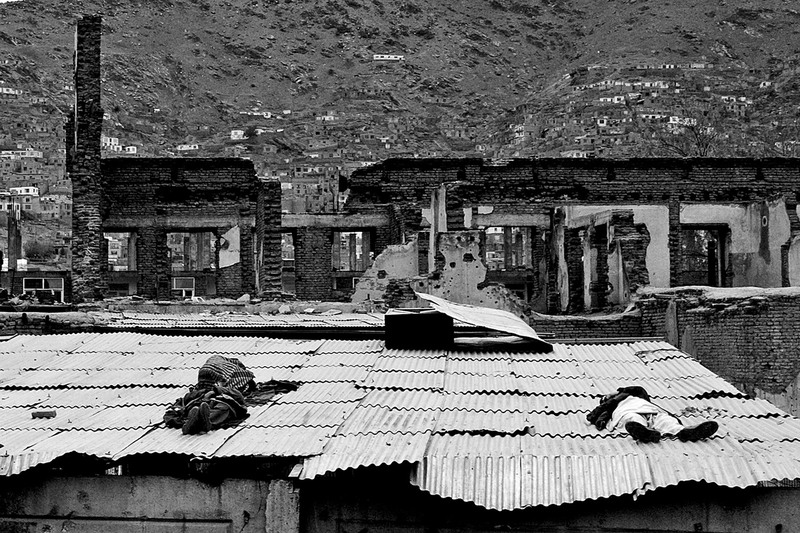 Mud houses in Kabul crumble easily because of the heavy rains. When this picture was taken, Shirin had just been told by her landlord that she would have to move out in three days. Members of Afghanistan’s Shia minority community. They are known for their tolerant treatment of women, and for a history of strong mysticism. Badakshan and Wakhan. A men’s hammam in Kabul, a bath full of steam and whispers. To cleanse one’s body both of dirt and spiritual contamination is an art in Islam, a spiritual practice, a pleasure and often an obsession as well. 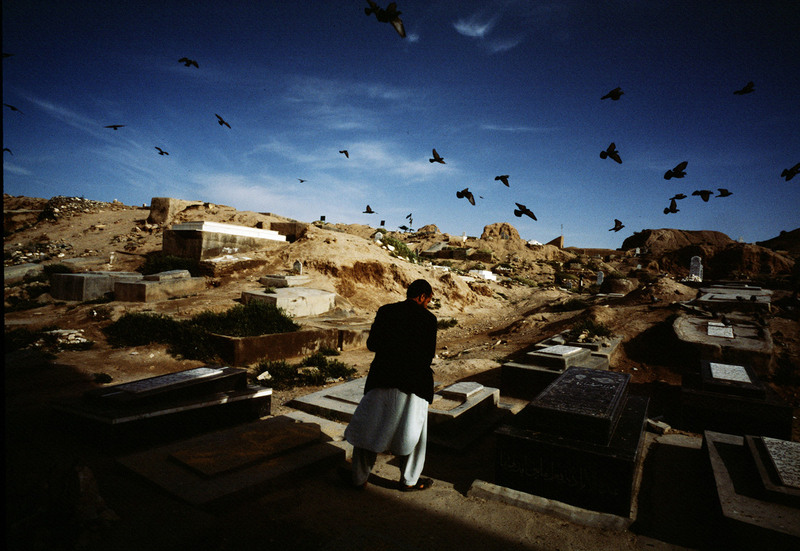 The cemetery in Herat. It is believed that every seventh bird is inhabited by the soul of death—so it is wise to give water and millet to all. The shrine of Abdullah bin Muawiyah in Herat. 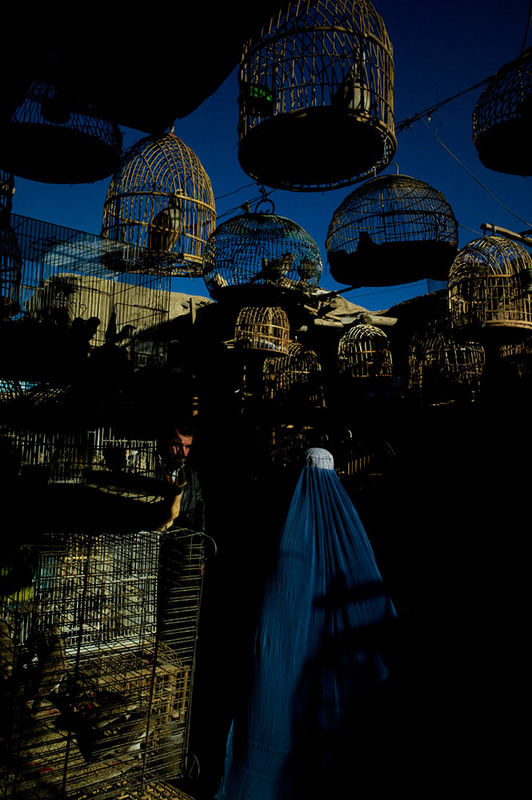 In the “bright garden” of Afghanistan, I followed many paths instinctively, finding centers of hope in the most hopeless places, in the darkest depths of despair. My trip to Afghanistan began many, many years ago, on the eastern border of Poland, my home country, walking through the forests of my grandmother’s tales—a land where every field hides a grave, where millions of people were killed or deported in the 20th century. Beyond this destruction, I discovered the soul of places. I met humble people, heard their prayers, and ate their bread. For the last two decades I have been walking East through forests and fields, from Eastern Europe to Central Asia through Caucasus mountains, Russia, North Africa, Middle East, looking for places where the sacred transcends borders. And I always found humble people, again and again heard their prayers, shared their bread. 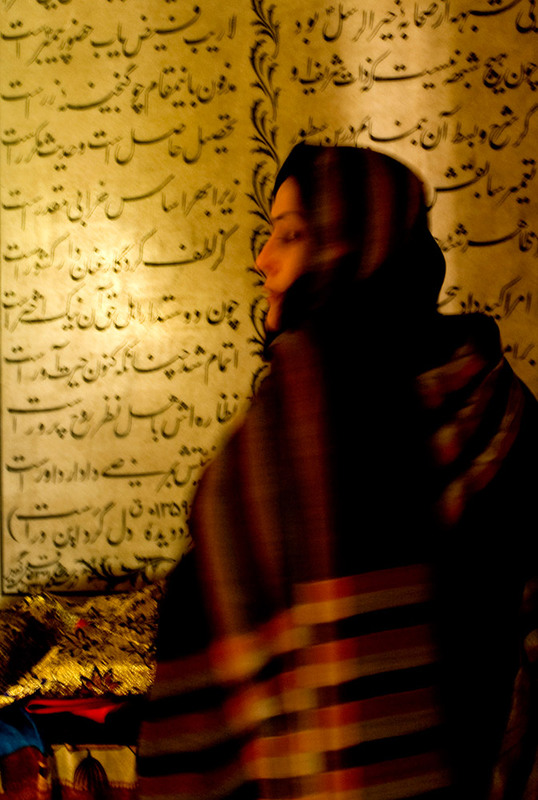 The prayers of Sufis, humble Muslims hated by the Taliban, a hidden, interconnected river of mysticism from Gibraltar to India. / A mosque where a respectful stranger is welcomed as a gift and showered with blessings. / Clandestine rites of Shia covered in blood and tears in a theater of pain. / A men’s hammam, bath of steam and whispers. / Magic rituals of the wandering holy man who operates a kind of a Hospital of God. 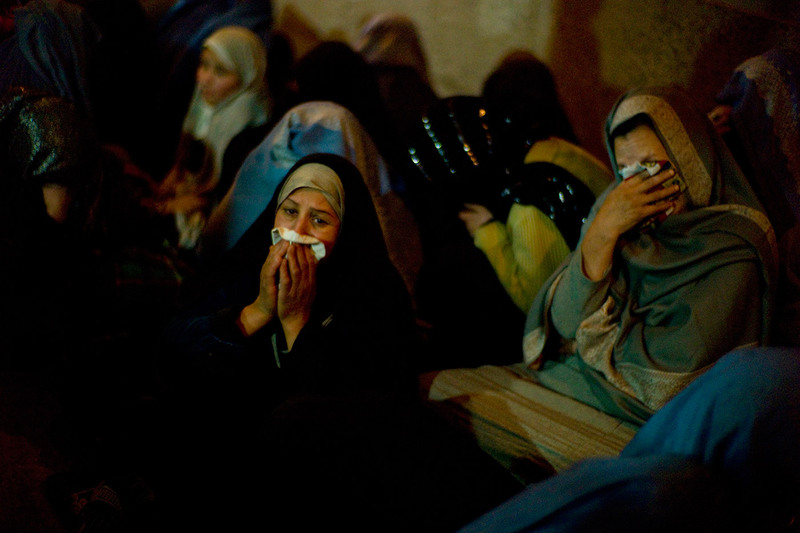 What do we know about the pain of these Afghans we pretend to protect? The 15-year-old girls jailed after escaping forced marriage. / Villages where the only medicine for killing pain and stopping hunger is opium (also given to small children). 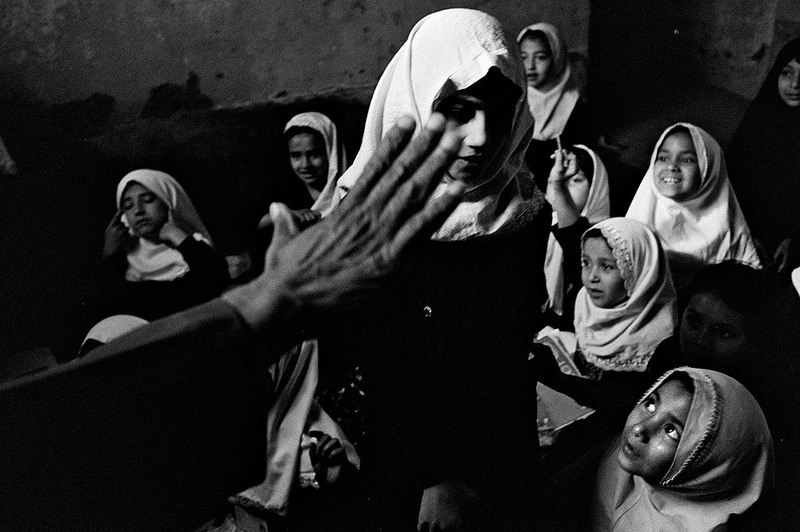 / The nomad girls of Jugi and dancing boys who became prostitutes of Afghan businessmen. / The 13,000 girls in the largest Afghan school in Herat, so passionate about learning that they study underground and in tents where scorpions lurk. / Death threats by the Taliban, nailed at night on the doors of parents who dare to send their daughters to school. / Acid thrown at girls’ faces in Loghar. / Poison fed to girls in schools in Kunduz. 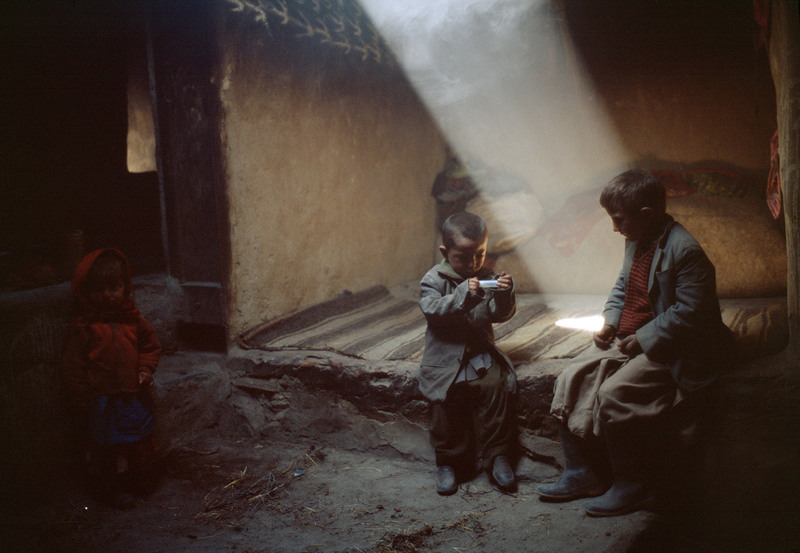 These Afghan people, mostly illiterate, have told me: “This is a war over our children. Either the Taliban wins and prevents them from going to school and having a future. Or we continue to fight to help our country have hope. We are a lost generation”. I would like to give voice to these silent people. Small worlds, ignored by the media and prophets of global conflict and show the hidden light behind the curtain of the great game. 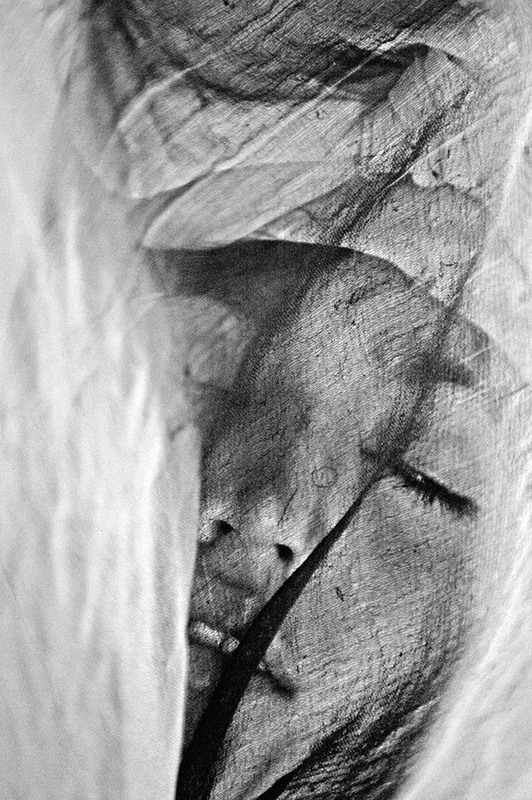 Monika Bulaj, free-lance photographer, writer and film-maker. She explores - in Asia, Africa, Latin America and Eastern Europe - the dim areas of the Monotheism, where the sacred can transcend borders: bonfires, dances, cult of the dead, and possession rites. She describes outskirts and deserts, frontiers and megalopolis. And the world of the last ones: nomads, farmers, immigrants, outcasts, untouchables and impure. Her photos and reportages have been published by GEO, National Geographic, La Repubblica, periodicals by Gruppo Espresso and Rcs, Courrier International, Gazeta Wyborcza and other international magazines. She has displayed more than 50 personal exibitions in Italy, Germany, Egypt and abroad. Born in 1966 in Warsaw, she has completed five-years studies in the Polish Philology on the Warsaw University. In addition to Italian and Polish, she speaks French, English, Russian and German. She studies Arabic and Persian. She has three sons and lives in Trieste.